Hello all, first of all I need to apologies for the brief post today, unfortunately we've been very poorly in our house hold this week and it's knocked me for six. First of all I used the Butterfly Delight Stencil from Imagination Craft, and stencilled it with Antique Linen Distress Ink. Then used an acrylic block to create some inky shapes again using Antique Linen and Pumice Stone. I took some coordination card stock in two tones of brown and matted them behind inked card which was matted onto black card. 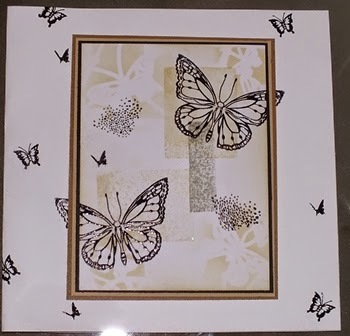 I stamped the Hobby Art Butterflies using Versamark and Wow black embossing powder onto the background pattern before matting them all onto a 7 x7 card. Again using some butterflies from the Hobby Art butterflies stamp set, I finished off the card with a few random butterflies and also stamped a couple of images from the Hobby Art decorative background set. Once again I've very sorry this is short and sweet, see you again in March. Firstly, get well soon. The card is beautiful and shows off the class technique perfectly. Very soft background, love both the stencilling and the inky shapes. 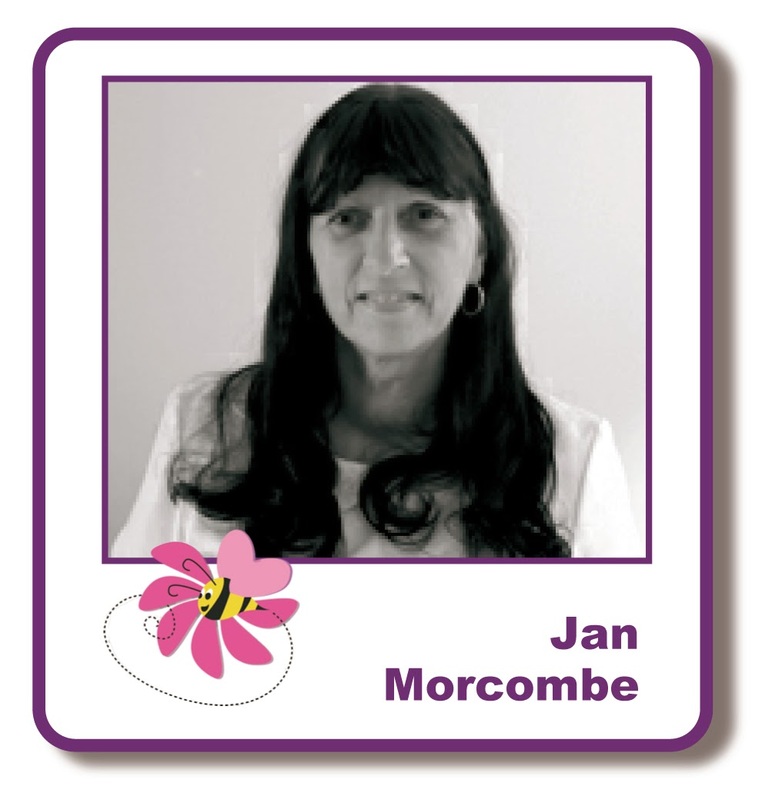 Hope you get better soon Jan! Oh dear I do hope you all feel better soon - it's awful when the whole house is ill, you have my sympathies. Like the effect the acrylic block has made . 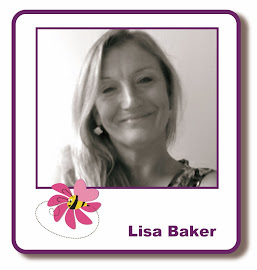 Must find my butterfly stamps.